Our Speech and Language Therapists currently work in these counties on a regular basis; Derbyshire, Leicestershire, Nottinghamshire, East Midlands, West Midlands, Rutland, Warwickshire. 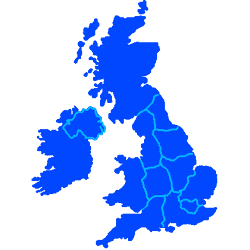 Our therapists also travel to these counties to see our clients; Worcestershire, Shropshire, Staffordshire, Northamptonshire, Cambridgeshire, Oxfordshire, Lincolnshire, Bedfordshire. Our speech therapists visit clients in these local towns; Ashby-de-la-Zouch, Atherstone, Bedworth, Birmingham, Burton-on-Trent, Coalville, Coventry, Derby, Donisthorpe, Heanor, Hinckley, Leicester, Lichfield, Loughborough, Lutterworth, Mansfield, Market Harborough, Measham, Nottingham, Nuneaton, Redditch, Rugeley, Solihull, Stafford, Stoke-on-Trent, Stone, Stourbridge, Studley, Sutton Coldfield, Sutton-in-Ashfield, Swadlincote, Tamworth, Wigston. As well as these towns; Alfreton, Ashbourne, Bakewell, Belper, Bewdley, Bilston, Bridgnorth, Brierley Hill, Bromsgrove, Burntwood, Cannock, Daventry, Droitwich, Dudley, Halesowen, Heanor, Henley-In-Arden, Kenilworth, Kidderminster, Kingswinford, Leamington Spa, Leek, Macclesfield, Matlock, Melton Mowbray, Newark, Newport, Northampton, Oldbury, Ripley, Rowley Regis, Rugby, Sandbach, Shifnal, Smethwick, Southam, Southwell, Stratford-upon-Avon, Stourport-on-Severn, Tipton, Uttoxeter, Walsall, Warwick, Wednesbury, West Bromwich, Willenhall, Wolverhampton, Worcester.